We offer a range of elegant and affordable crystal awards. 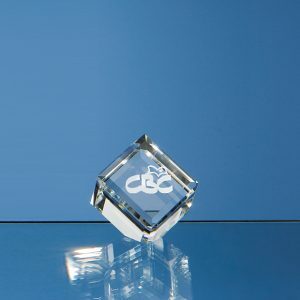 Crystal awards are a simple, off-the-shelf option for awards and trophies, and engraved details can include both text and images. Stylish and professional, these awards will suit any occasion. The optic Cubes are available in 5 sizes from the cute 40mm paperweight size to the impressive 100mm awards size. 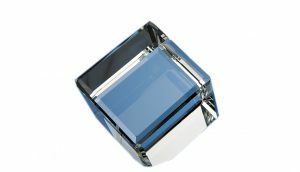 They are hand crafted out of perfectly clear optical crystal with a double-sided bevel on each edge and a flattened corner for the cube to stand on. They can be personalised with any crest, logo or wording to create a gift that is sure to take pride of place when put on display at home or at work, they are supplied in a black foam lined presentation box. Availability is subject to change. 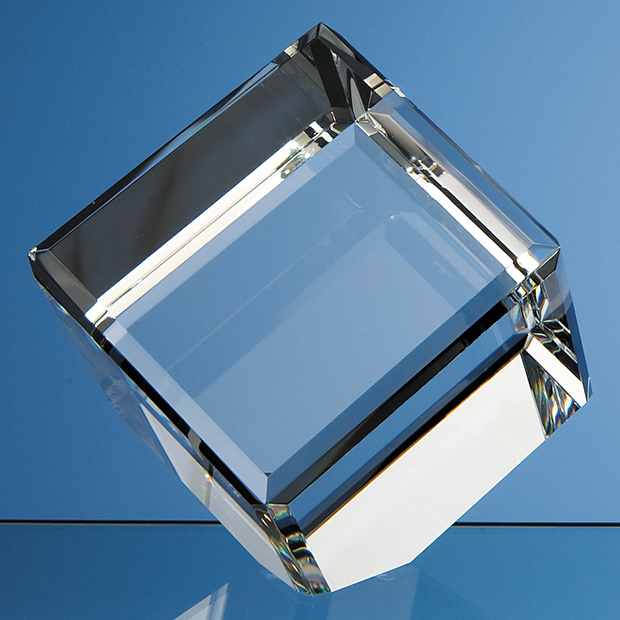 While our crystal supplier endeavours to display accurate and up-to-date availability on the website, your Project Manager will confirm availability at the time of order. If the chosen product is unavailable, our team can recommend similar options depending on price and design. For more information about the award or plaque Gaudio can create for you, or about our full range of premium crystal we supply, call us on 01242 232 383. Alternatively, email sales@gaudio.co.uk, or fill in the ‘contact’ form on our website, and one of our Project Managers will be in touch to discuss your requirements.